Painter, designer, engraver, and illustrator Eric Ravilious has long been beloved for his wood engravings and watercolors of the South Downs, where he made his home until he was killed in action while working as a war artist during World War II, his plane lost off Iceland. 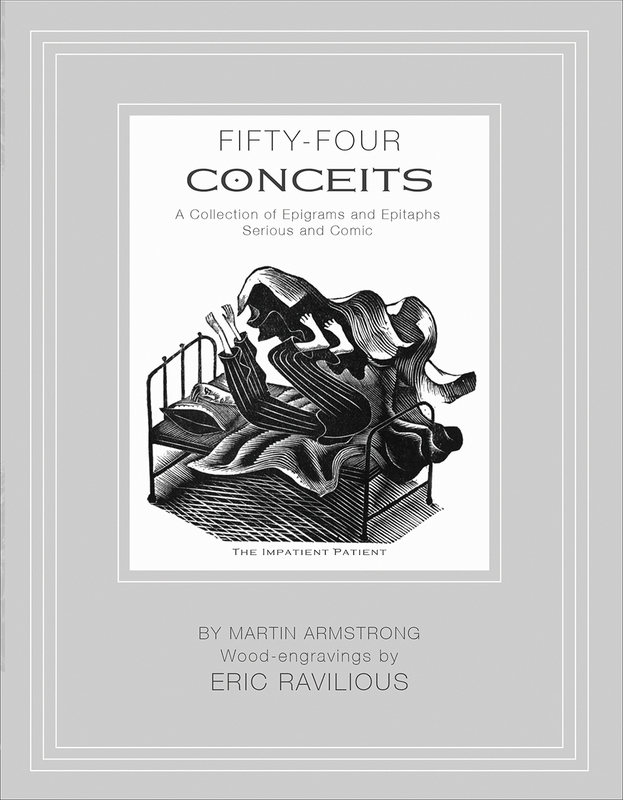 ​Fifty-Four Conceits is one of a new series of reprints of classic books created by Ravilious in conjunction with friends. Originally published in 1933, the charming, accessible verse of this collection of epigrams and epitaphs both serious and comic, by Martin Armstrong, was accompanied by woodcuts made by Ravilious especially for this volume. Little known, and rarely seen, the striking artworks found here make the book the perfect gift for any Ravilious fan. This edition was reprinted to coincide with the Ravilious and Friends exhibition at the Towner Gallery.